My dad loves cycling. He falls asleep at every movie, is uninterested in TV (unless it is Notre Dame football), and lets most tech trends pass him by. But he remains fully committed to his shiny road bike in Big Boy Blue. When I call home on weekends, there is a 75% percent chance my mother will tell me that he is out “merrily pedaling his way to nowhere”. Cycling was always a part of our family’s identity as I was growing up. 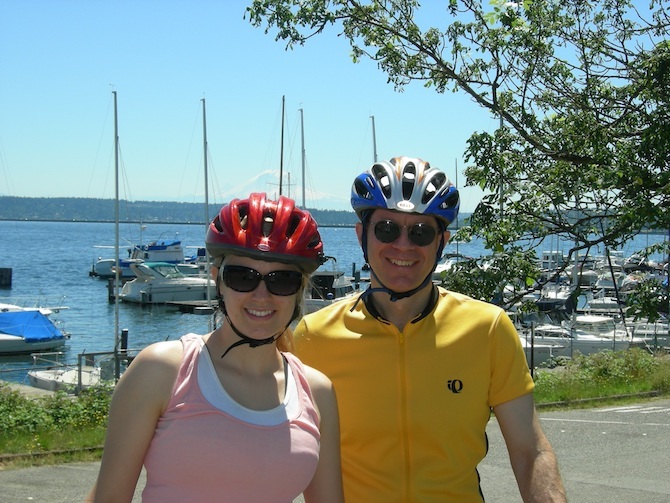 I won’t lie--along with the successful cruises along the Burke-Gilman trail, we had some real nightmare rides. My two sisters, mother, and I were not always the most enthusiastic road buddies. We still have a running joke in the family that my father cannot be trusted to give an accurate assessment of either the terrain or length of any route. What stands out years later, though, is his incredible patience with us. Always willing to take the rear to keep track of the slowest rider, I never worried that he would leave us behind or grow frustrated with our snail pace. He was enthusiastic to have us along, and excited to show us his favorite side streets and lookout points. I could rely on him to eventually lead us home (even if there were a few more hills along the way than originally promised). This says a lot about the kind of dad he is. Embracing cycling as his sport also reflects his life values, and the values that I think he tried to encourage in us by drawing us into it. It is an all-weather activity, something that requires grit to push through the long stretches of rain, wind, steep inclines, and monotonous landscapes before finding sunnier skies, a viewpoint, maybe the next gas station. It takes an appreciation for the slow build, the gradual arrival, not a fixation on quick results, or finally being there and being done. It is for someone who wants to savor the doing, not be anxious to get it over with. The value comes in each revolution and each foot covered, not in resting at the (often arbitrary) destination. It fosters self-reliance and a personal strength to keep finding a new path, and then also a way back. It is a deeply individual and introspective activity that nevertheless leads to tight community. I admire all of these qualities in my dad, and cycling with him when I was a teenager and young adult has helped me to see them more clearly. I now live very far from home, and my time with my parents is limited. 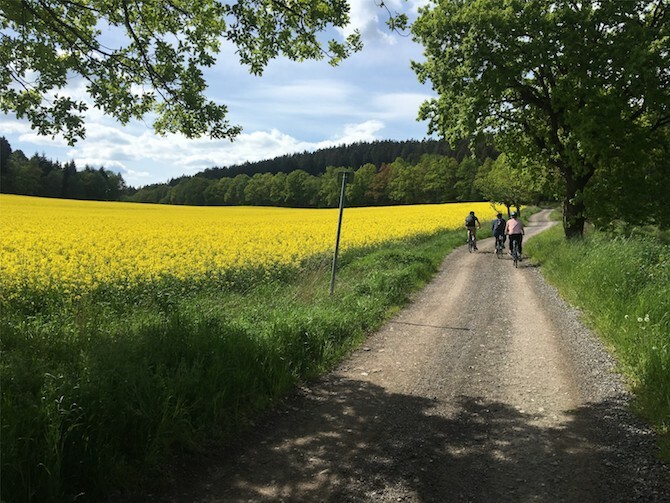 There are many things we don't get to do together anymore, but cycling makes the cut; I try to incorporate it into every visit, whether I am there or they are here. Even cycling alone reminds me of my father, often making me wonder if this is the independent young woman he imagined when he taught me to ride without training wheels 23 years ago. 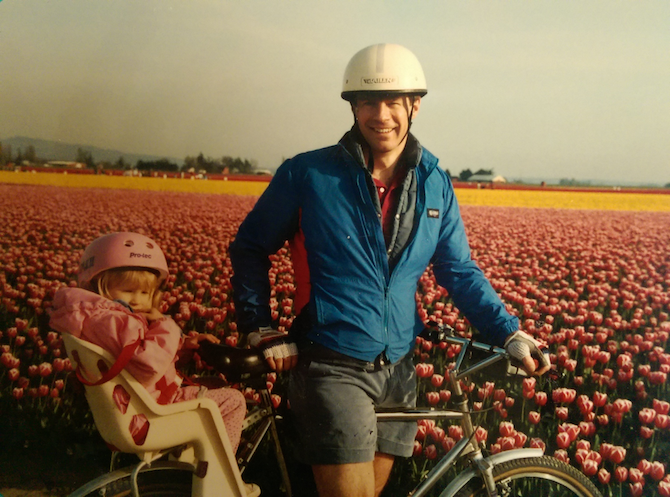 Cycling stands out as one of the strongest ties I have with my dad, and I am thankful for it.